For three years, GO West Contra Costa (GO WCC) has worked with parents, educators, and community allies to improve outcomes for the 33,000+ young people attending public schools in West Contra Costa. A critical part of our work is ensuring that families have access to the data they need to make informed decisions to guide their child’s academic journey. 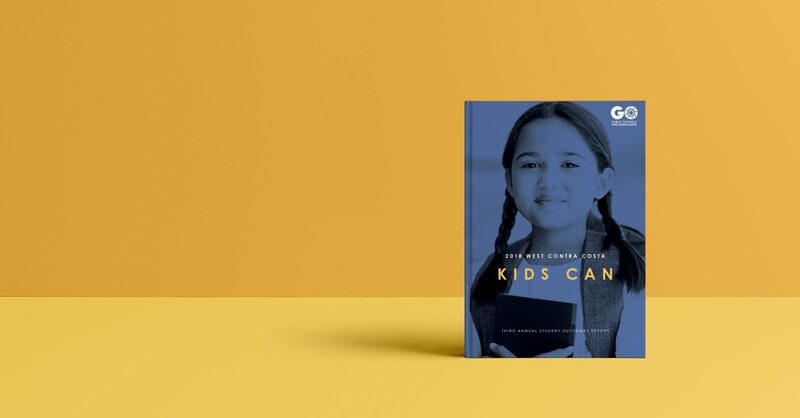 This year, we are proud to present the community with a data tool that provides parents with the steps to turn knowledge into action — the 2018 West Contra Costa Kids Can Student Outcomes Report. Authored in partnership with GO WCC’s Family Leaders Action Group (FLAG) and GO WCC’s Educators’ Council, this year’s bilingual report was thoughtfully crafted to serve as a key resource for parents as they navigate our public education system. With data points, guiding questions, and suggested next steps for personal and systemic advocacy, it is our hope that this report sheds light on the current academic trends in our schools, and presents families with a path forward.